Pope Francis continues his catechesis this week going over what it means when we proclaim that the Church is both Catholic and Apostolic. In using these terms, the Holy Father discusses how they are an expression of our faith lived out in the world and are thus inseparable in the Christian life. As with much of the Christian life, these two concepts seem opposite and contradictory, with the opening of up of the universal Catholic life but the narrowing sense of being Apostolic. However, as His Holiness demonstrates, the paradox in our faith is that these two different ideas are in fact dependent and work in unison with one another in our faith lives. One particular example of this catholicity noted by the Holy Father is the Church’s desire to speak all languages, bringing the Gospel to each person in their own tongue. In the daily Christian life, however, it is not merely the vernacular words of the Gospel that mark us as Christians but also how our expression of the love of Christ should be accessible to all. This means that the language of the Gospel is not only conveyed by the New Testament that Pope Francis encourages us to carry around but also in our desire to bring Christ to every land. The Holy Father also rightly notes that one cannot be Catholic without being Apostolic. 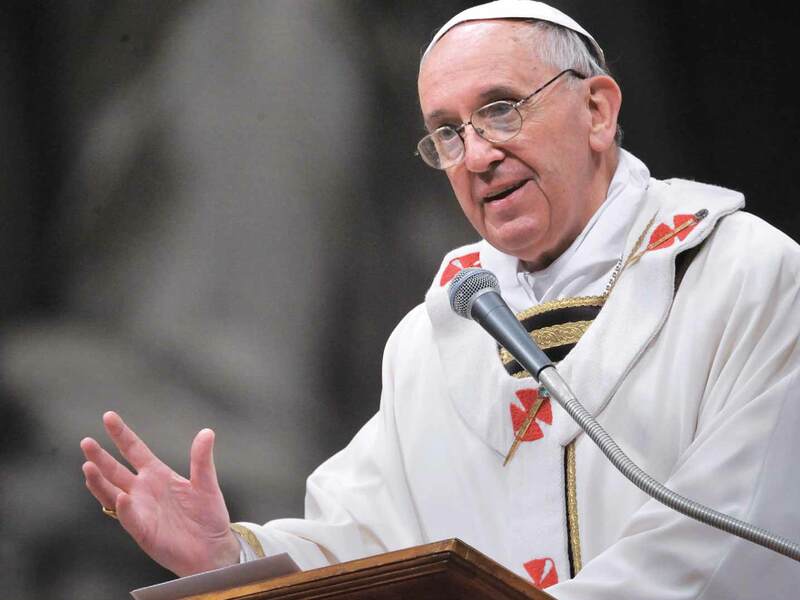 “If the Church was born Catholic,” Pope Francis proclaims, “it means that she was born ‘outgoing,’ missionary.” He further noted that if the first Apostles had merely stayed in the upper room they would not have been fulfilling their mission as Catholics and the Church would be merely for just one time and place, a localized faith that dies before it can even grow. This is another encouragement from the Pope to not become a “self-referential Church” that is always closed in, a sort of religious enclave. Becoming self-referential is a great temptation in the modern world. We especially feel that in places where our neighbors are hostile to the Gospel or where the local structure of the Church seems disinterested in living out the fullness of the Gospel. For the Pope and his successors, however, our love for Christ and our neighbor needs to be strong enough to embrace them both. Christ came for one and for many, for the individual and also the community, and all around us are people who desperately need to know that they are loved and that Christ desires them as the Father desired the Prodigal Son. This means that we not only love and serve those who happen to attend the same liturgy as us and who happen to agree with all our religious, political, and economic positions but we are to go out burning with the desire to show Christ to all humanity. No doubt, this is easier to say than to do but the Holy Father encourage us as he points to other missionaries of the past as our example. These men and women, now gone and buried, are “the heroic lives of many, many missionaries that have left their homeland to go and preach the Gospel in other countries, in other continents.” Pope Francis notes their great example and praises God that the Church has had many missionaries but also stresses that she needs more! In light of this audience, pray that Christ can move us all to have love and empathy for all around us. That we may understand our neighbors and love them enough to burn with the same desire that Christ burns with for us. If we can develop as sense of love and empathy for all, especially those whom we regard as our enemies, we can truly carry on our apostolic work and be truly Catholic.